When it comes to taste, the western world has found it difficult to embrace the unusual textures and tastes of Asian cuisine. Much of their food is texturised by rice-based ingredients. Mochiko, a type of sweet rice flour, is a staple in Japanese desserts and imparts a pliable, spongy texture that simply cannot be mimicked. Some people may be familiar with the unusual rice-flour texture thanks to a dessert seen available in most Japanese restaurants: mochi ice cream. The sweet treat is easier for American palates to accept because of the ice cream filling; however, the spongy mochi exterior can completely turn some off. No matter how delicious, texture plays a huge role in acceptance. Japan’s newest food innovation, coffee butter, can appeal to everyone. Since the morning stimulant comes in butter form it does not have a strange texture. As it is flavoured with coffee the product appeals to anyone who enjoys a good cup of coffee. 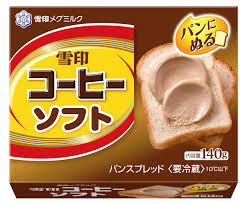 The product itself, Snow Brand Coffee Soft (“butter-like spreads are often branded with the word ‘soft’ in Japan”), is a creation of Japan’s biggest dairy company Megmilk Snow Brand Company. Snow Brand Coffee Soft is set to release on 1st March, coinciding with the 55th anniversary of the company’s popular coffee drink. Megmilk states that the coffee butter will have the same taste as this coffee drink. Once it hits the market, the coffee butter will sell for 230 yen (£1.64 or $2.04) per tub. Versatility is what makes the coffee spread so amazing. The caffeine concoction can be spread onto bread, muffins, crumpets, croissants, any carb-based food really. 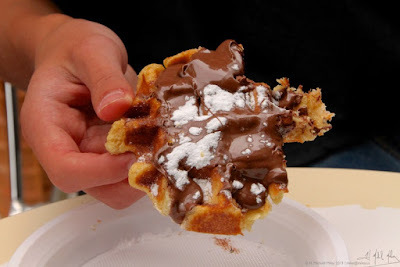 Instead of serving American pancakes or waffles with syrup, spread a glob of the coffee butter on top. Feeling a bit more creative than that? Use the butter in baked goods or spread over the top of one fresh out of the oven. Will coffee butter be the new Nutella?